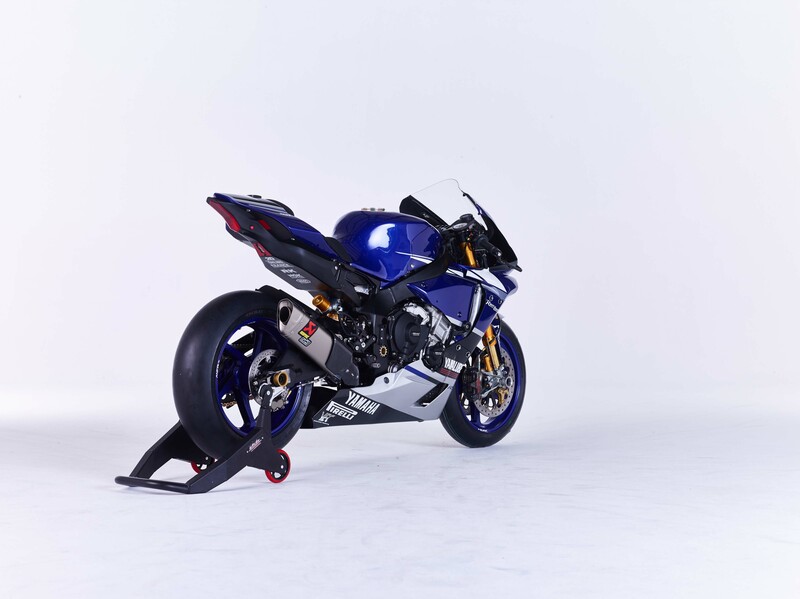 If you haven’t already drooled over the photos of the GMT94 Yamaha YZF-R1, we recommend doing so. The French outfit is fresh off a race win in Portimao, and a strong contender for the FIM Endurance World Championship (EWC) title. 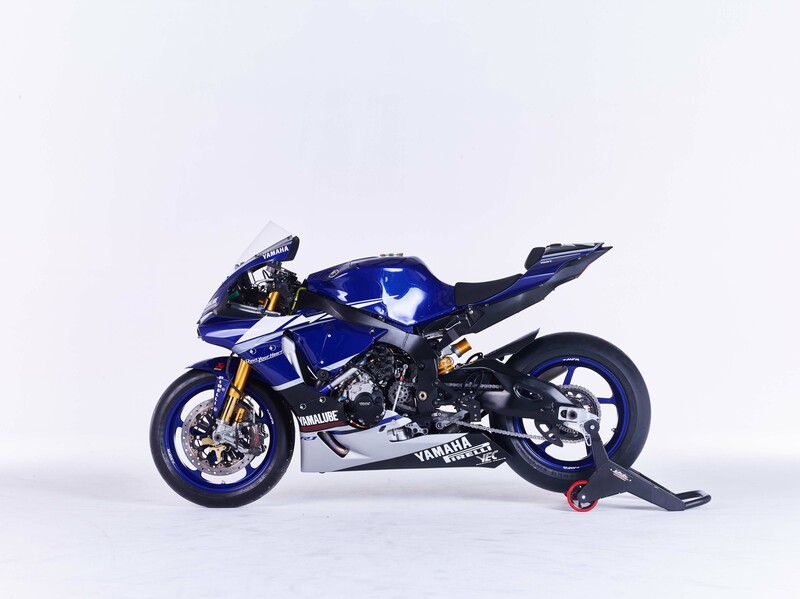 Yamaha has two factory-supported teams though, the second being the Yamaha Austria Racing Team (YART), which won the Endurance World Championship in 2009, and is always a force to be reckoned with. 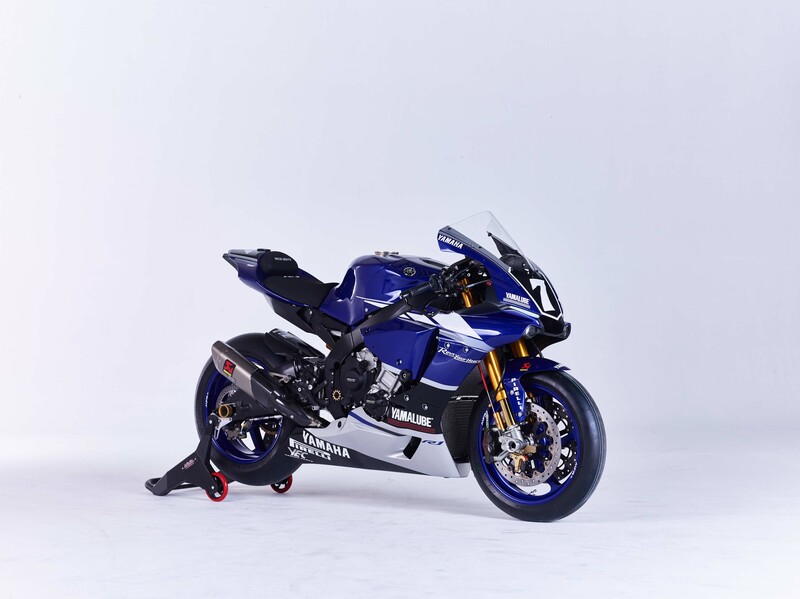 What has always struck me though, is how different the two teams build their bikes, despite starting with the same platform: the Yamaha YZF-R1. Today, I want to illustrate some of those changes, so we can enjoy the subtleties of the French and Austrian teams. 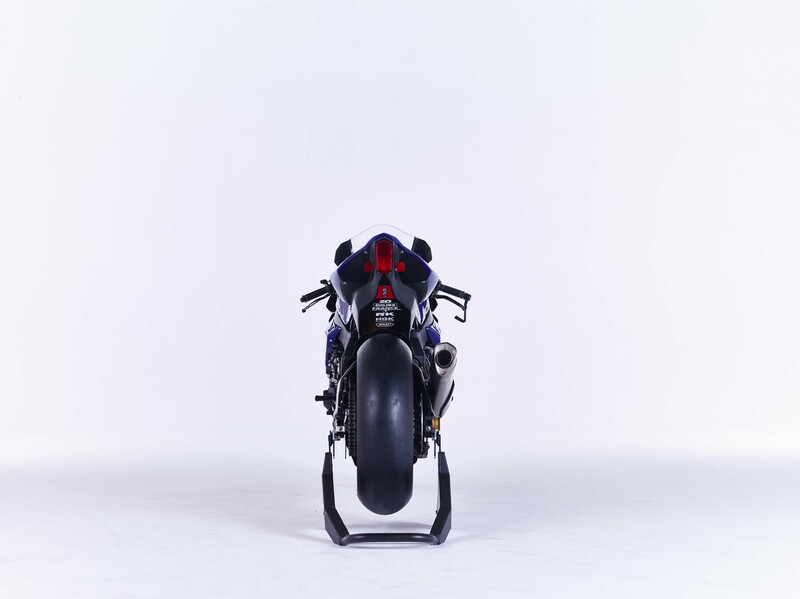 The first thing that always strikes me on the GMT94 Yamaha, which we never see on the YART YZF-R1, are the different tail lights. 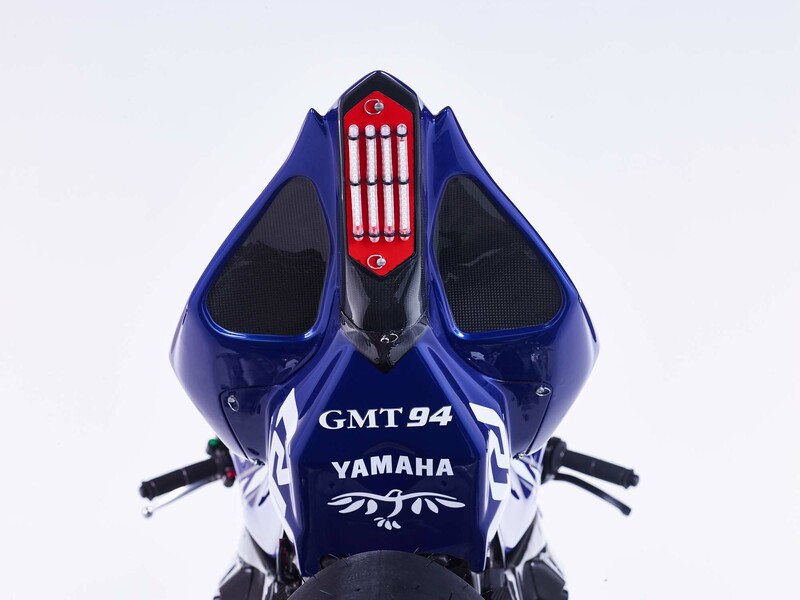 GMT94 prefers to use a very crude but effective, way to light the rear of its machine using common LED light strips. The design is lightweight, cheap, easy to make, and very durable. As you can see below though, YART choses to keep the OEM taillight, which is also LED-powered but slightly more robust. I can only imagine it adds some weight to the race bike, which YART most surely be compensating for elsewhere on the machine. 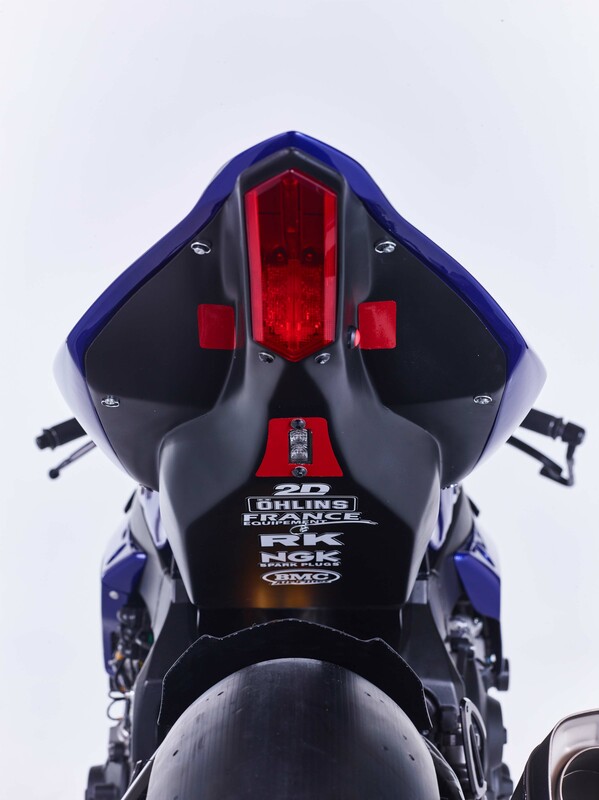 It should be noted too that the EWC has very specific lighting rules about the rear of the motorcycle, which plays into part of this design strategy. Another item that is easy to spot the difference of are the rider-control buttons on the handlebar. 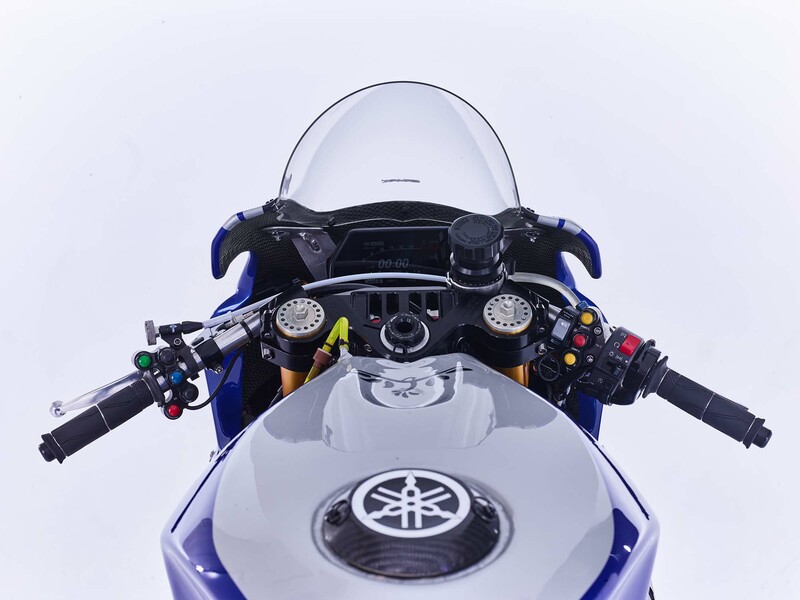 The GMT94 Yamaha team’s setup uses five buttons (two labeled for traction control adjustment), on the clutch side of the machine, while the YART bike makes use of seven. 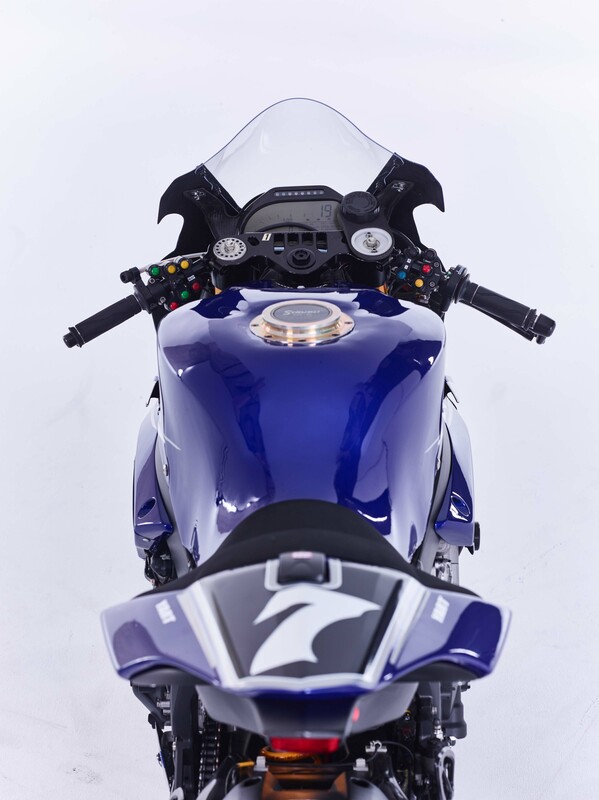 With seven buttons, we can assume that YART riders are able to adjust traction control, wheelie control, engine braking, engine maps, and throttle maps all while at speed, which is an impressive amount of modification to chose from at 100+ mph. While the three riders on each team will have to come to some sort of consensus on the ergonomics of their machine, having the electronic controls at their finger tips means that during each stint, a rider can tailor the bike not only to their needs, but also to the changing conditions on the race track. 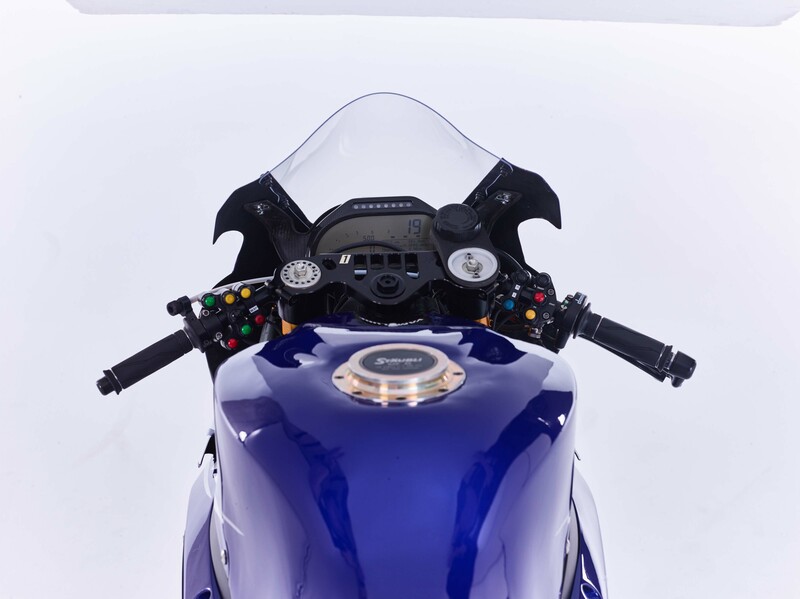 You will notice that the brake-side controls for the GMT94 team includes the stock button cluster, for the ignition, starter, and marker lights. In the EWC, all motorcycles must have two separately wired light circuits. Each circuit contains one white head light and one non-blinking red rear light. Each of these circuits must then be operated independently by a switch or switches by the rider. 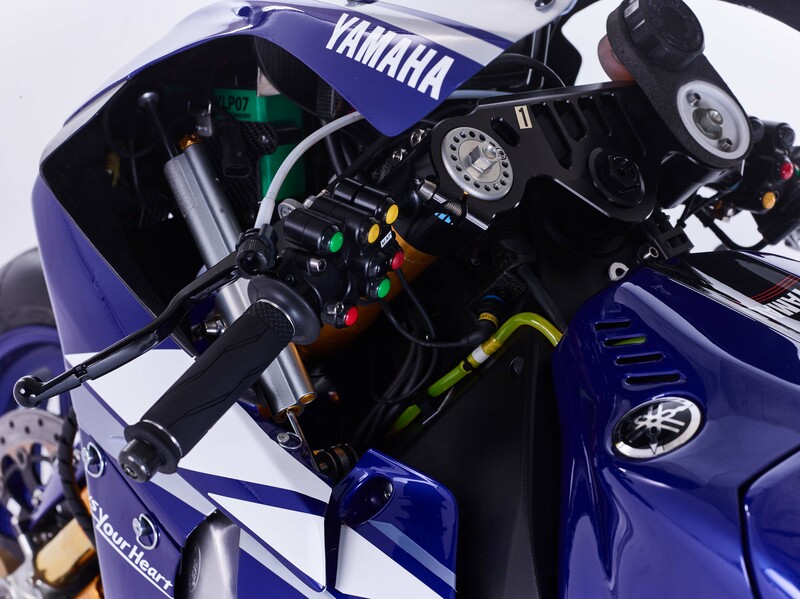 This would explain the “R” and “L” buttons on the YART bike, and the “Light 1” and “Light 2” buttons on the GMT94 machine. Moving on, we can see that the French team adds a custom switch to control the operation of the bike’s quickshifter, whereas the Austrians replace all the buttons on brake side with a custom button layout that includes a pit lane rev-limiter. 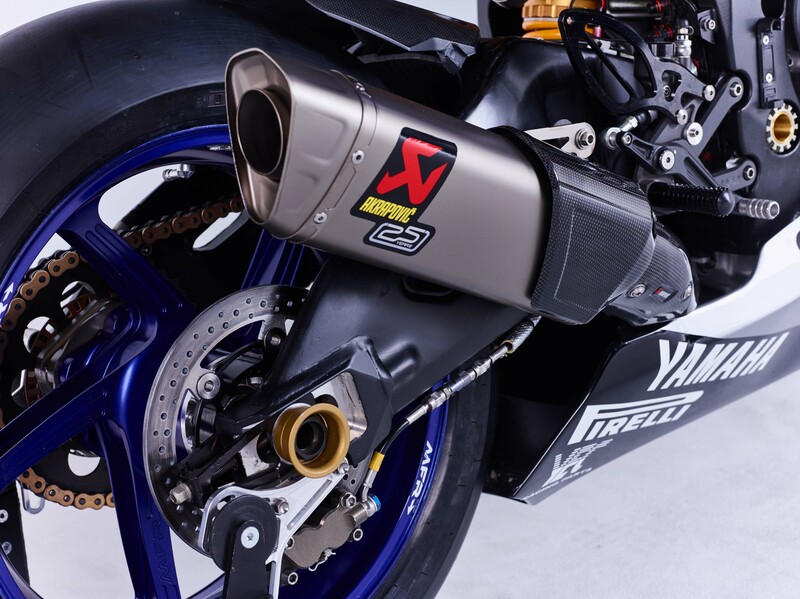 It is also readily apparent on the YART race bike that the throttle has been replaced with a Domino quick-turn throttle. These units have different interchangeable cams, which can change the rotation required from the throttle for a full torque-request, not I don’t say full-throttle as this is a ride-by-wire throttle system. One of the key areas for an endurance race team is the quick-change wheel components. These are special items that allow wheels to be rapidly swapped, which save the teams countless seconds during a pit stop. Interestingly enough, we see very little variation between GMT94 and YART here. 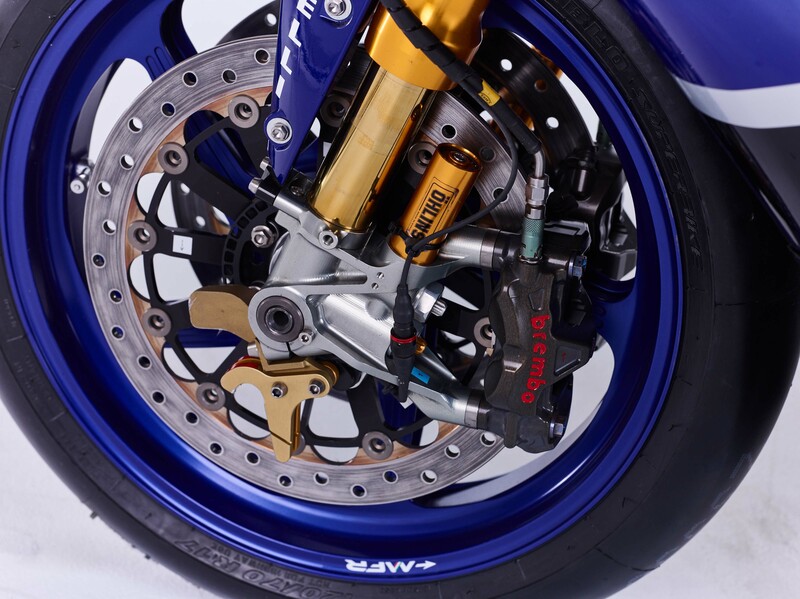 The rear-wheel quick-change assemblies are identical, with only minor variations in hardware nuts and bolts, which by EWC rule are allowed to be made of titanium. 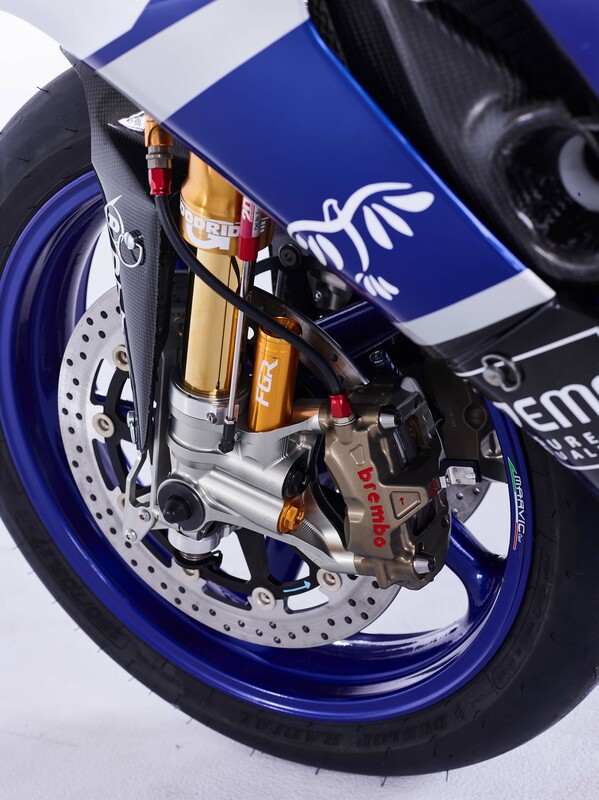 We do see some variation on the front wheels though, with GMT94 and YART running very different integrated lift-points for a wheel stand on their fork lowers. 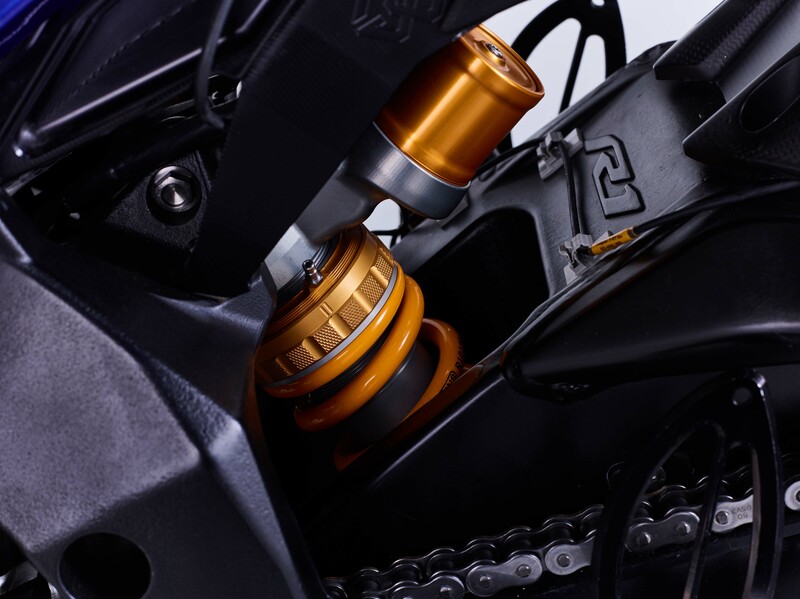 These lift-points give the front pit stand a place to hook onto the YZF-F1, and lift the front-end of the motorcycle for a wheel change or other servicing task. Of note on both machines are the brake line fixtures, which allow for calipers to be replaced without the need to re-bleed the brake system with hydraulic fluid. This is vitally important during a crash or performance issue, and again saves the teams seconds, if not minutes, working in the pits to get their rider back out on the track. 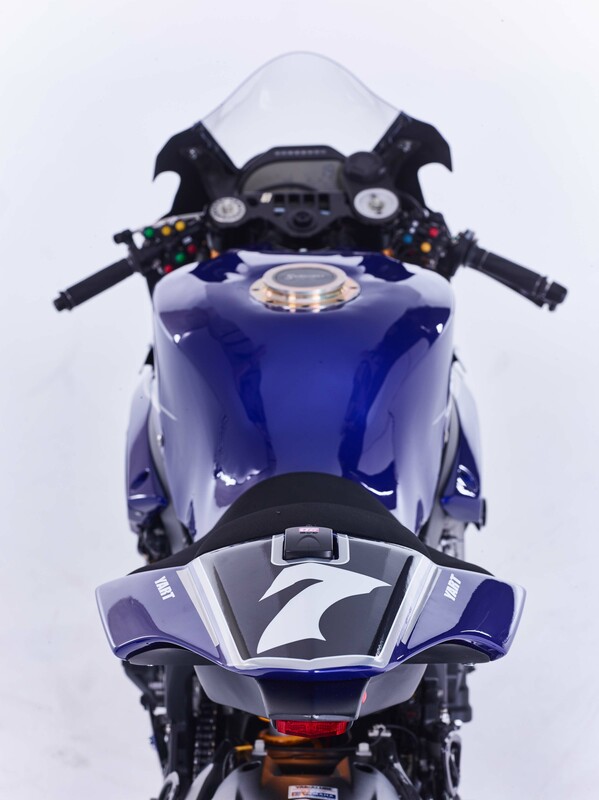 The last items that catch my eye on this set of photos are the differing rearsets. There is not much to that, other than perhaps sponsorship obligations or just preference by the teams/riders. 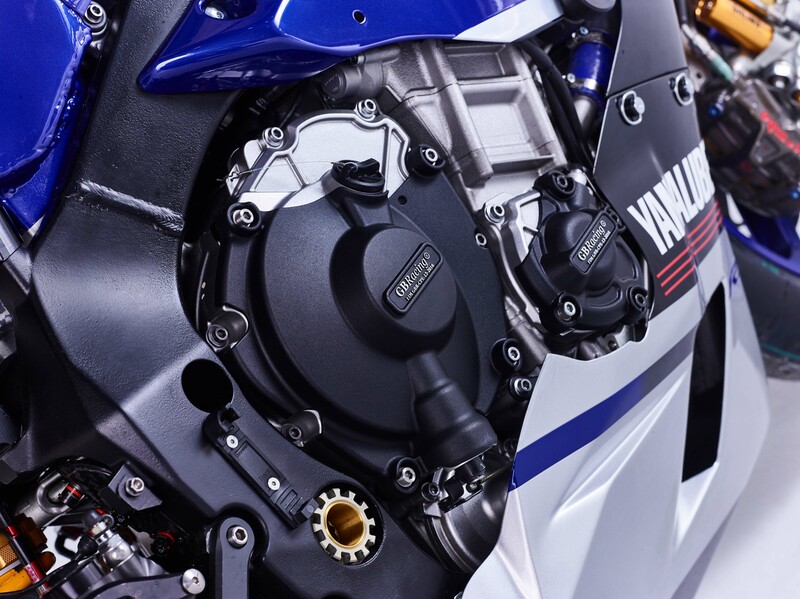 We will see later in this story, how this affects some other systems on YZF-R1. Both teams use Öhlins suspension components, which is unsurprising considering how strongly the Swedish brand has permeated racing paddocks around the world. 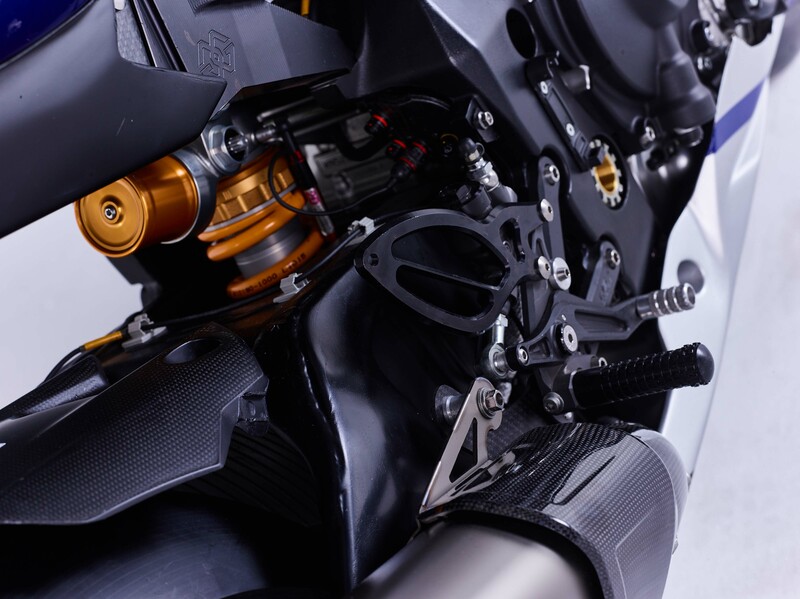 The biggest asset that Öhlins has going for it is the company’s a mountain of data, not only for a variety of series and tracks, but also for a variety of teams, which is just as important and valuable as the hardware the company provides. 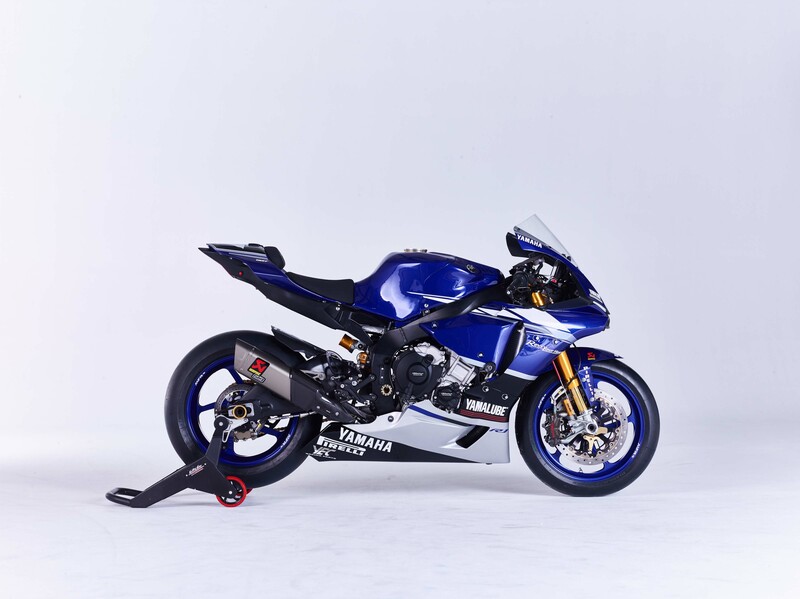 It is interesting then to see that YART has an Öhlins steering damper mounted on the clutch side of the YZF-R1, whereas GMT94 does not. 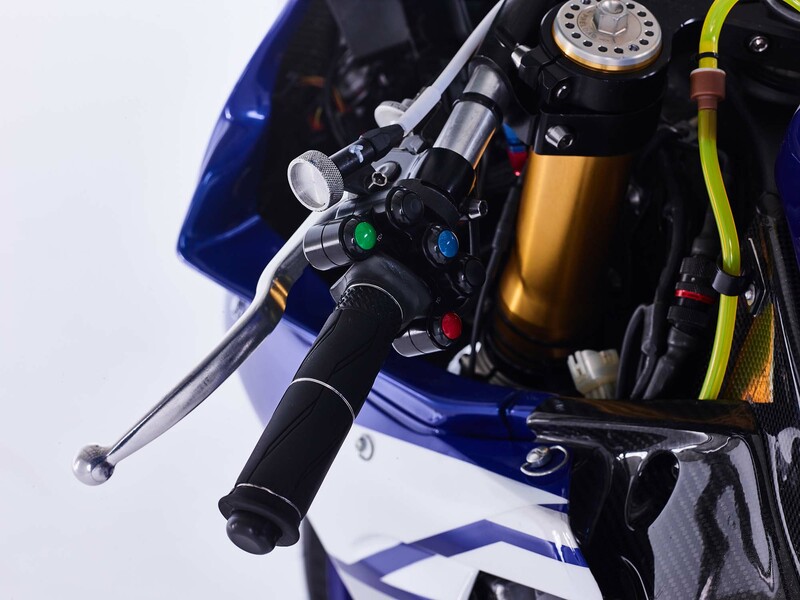 In fact, I can’t see in any of the photos available to us a steering damper for the GMT94 Yamaha squad, which is of note in itself. 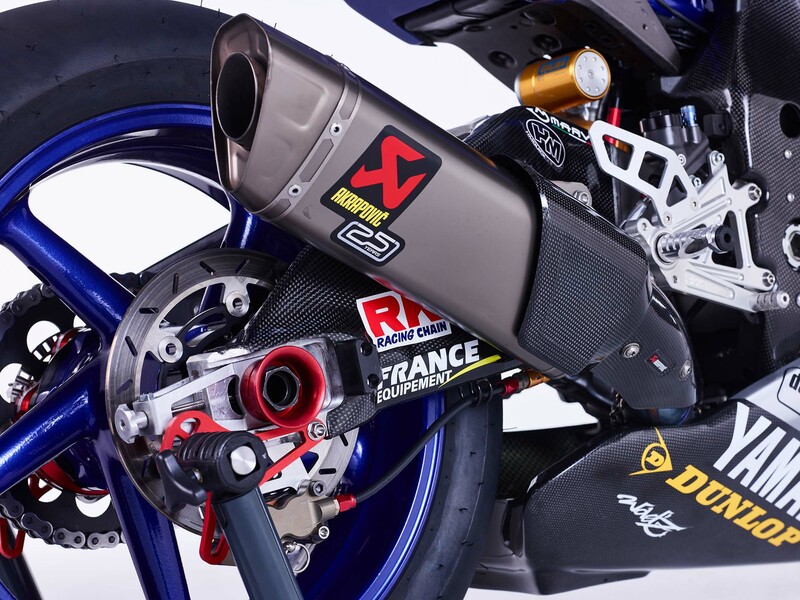 The French team either feels that the steering damper diminishes the R1’s steering rate too greatly, or feels that the machine doesn’t benefit from its damping effects. 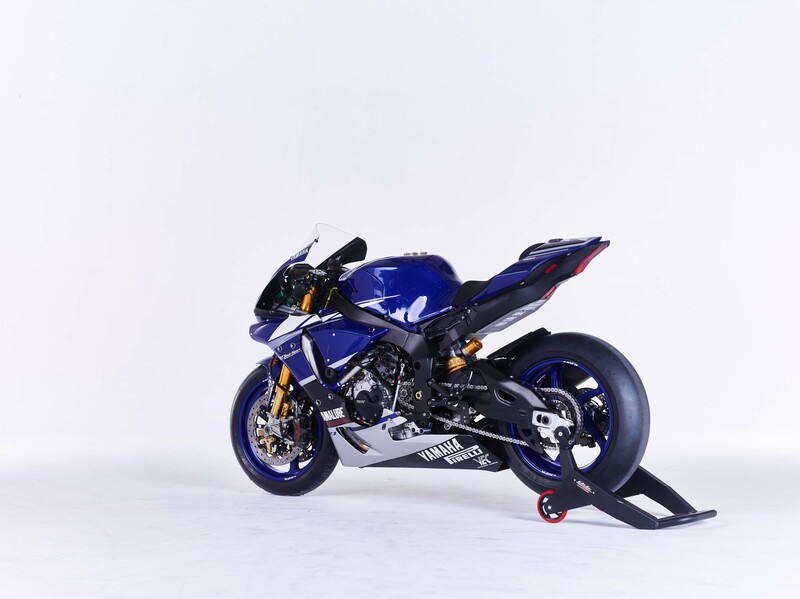 It is possible that the steering head angle on the GMT94 machine has been altered, which may sway the need for a steering damper. This is allowed in the EWC rules, if done via the use of inserts in the bearing seats of the original steering head. 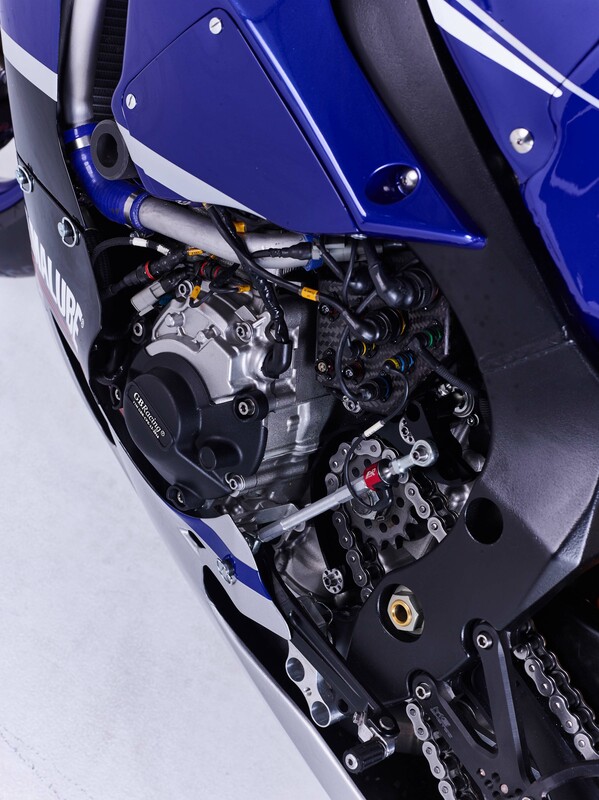 Thankfully, our eagle-eyed commenters have found a photo of the GMT94 Yamaha being serviced, which shows a steering damper mounted deep within the machine, just in front of the triple clamp lower. This is still an interesting contrast to how YART chose to mount its steering damper, and further highlights the choices made between the two factory squads. 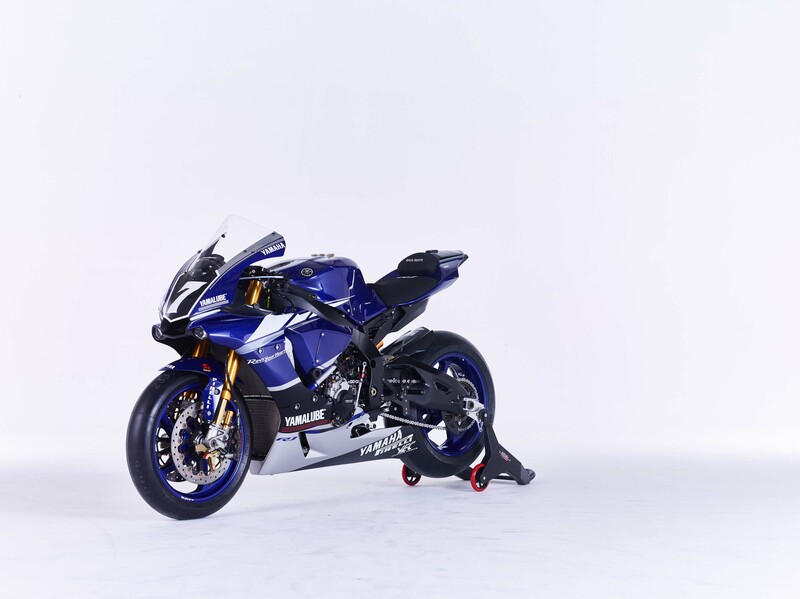 This last set of photos allows us to see some of the final differences between the GMT94 and YART race bikes. The first difference is the mounting of the quickshifter, which is due mainly to the choice in different rearsets from the teams. The YART mounting is nearly vertical, while GMT94’s comes across the bike more on a diagonal. 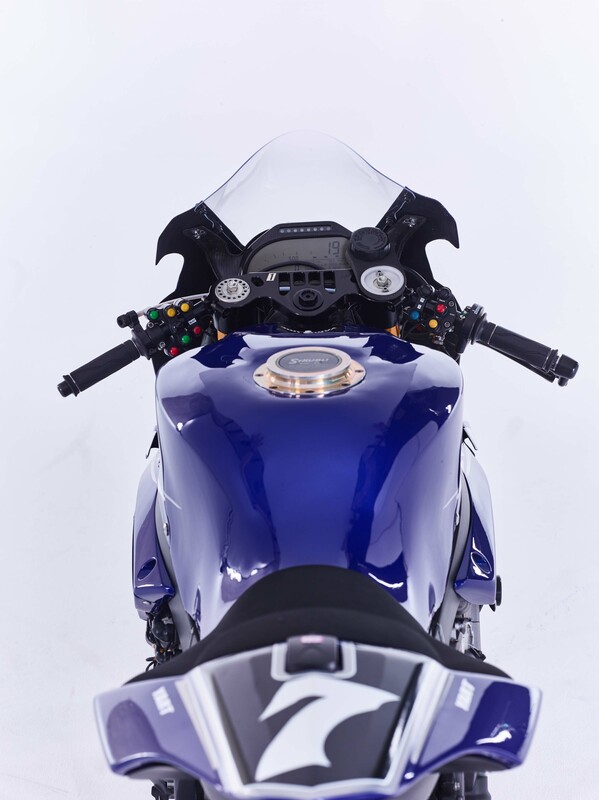 There isn’t too much won or lost with the quickshifter’s mounting position (throw distance, perhaps), but it should be noted that YART’s setup would be more survivable during a crash, whereas GMT94’s shift linkage is more exposed as it sits more outside the fairings and frame. 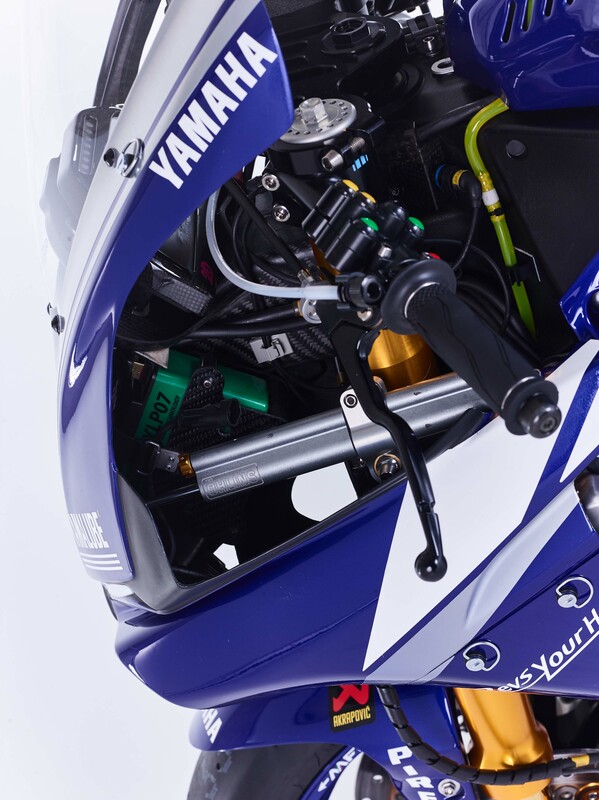 On the YART YZF-R1, we can see where the team has mounted its electrical connectors for the ECU, so that they are easily accessible should one need to be switched-out and unplugged during the race. 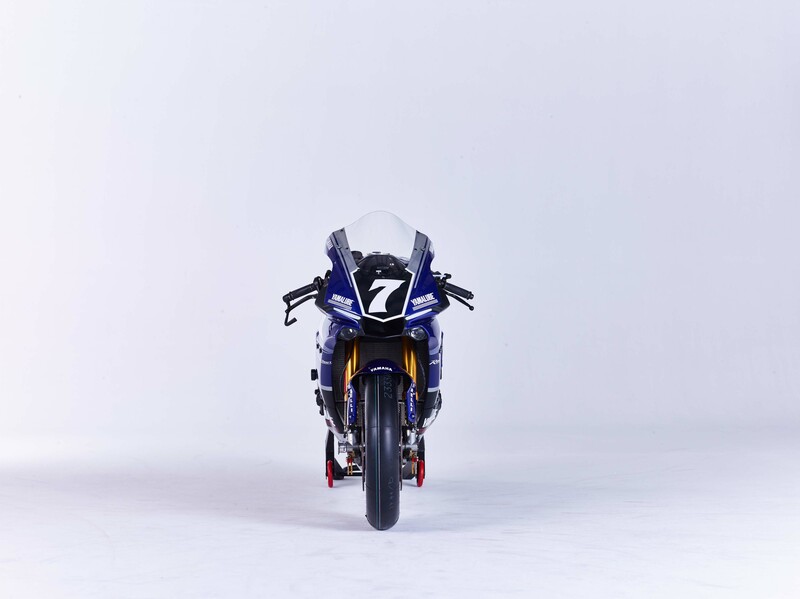 The GMT94 Yamaha team seems to have theirs buried deeper into the motorcycle, hidden from our view. 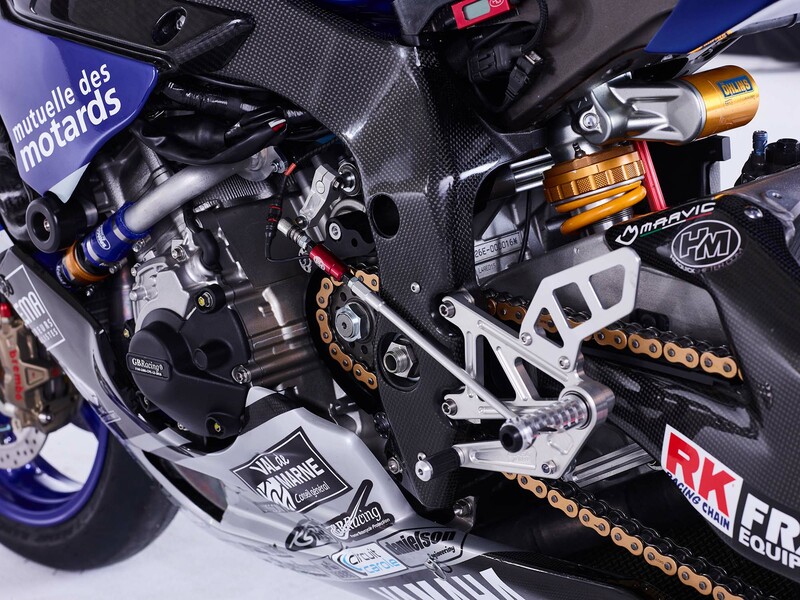 The last difference to note is the use of carbon fiber protective pieces by the GMT94 squad. 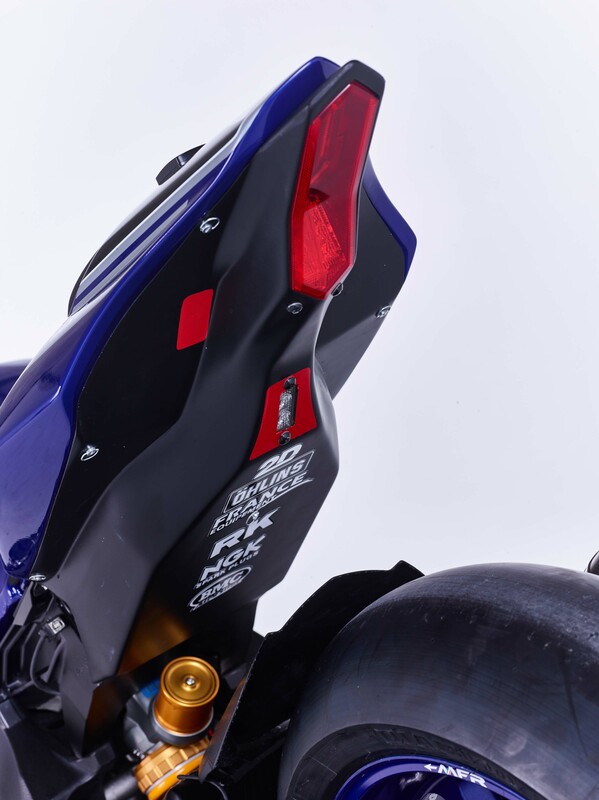 For minimal weight gains, these guards add some abrasion resistance to the chassis of the Yamaha YZF-R1. You can also see the frame sliders and engine case covers that both teams use. In a bad enough crash, abrasion damage to the chassis could alter its handling and feedback characteristics, and at this level of competition, that could be enough to affect the riders’ lap times. Such is the level of the sport, these days. Both of these teams head to Suzuka next month, to compete in the third EWC round, the Suzuka 8-Hour endurance race. Suzuka is dominated by local specialist teams, which means that the EWC regulars will be fighting for every point possible in the final standings. At the time of this writing, GMT94 Yamaha is currently fifth in the championship, with 45 points; while YART is seventh, with 39 points. They both trail Team April Moto Motors Events, which has 66 points.